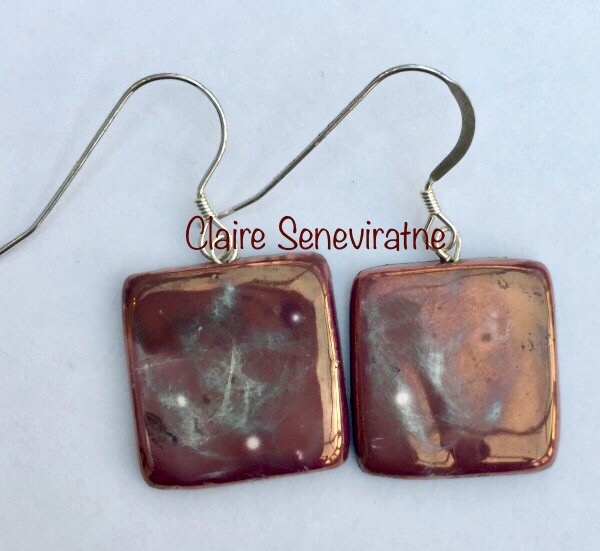 Claire Seneviratne - Ceramic Artist: Square purple earrings. These earrings are made from porcelain and have a glaze and a lustre fired onto it in my kiln. They have lovely abstract markings.The wires are sterling silver. Width of earring at widest part is 1.8cm.